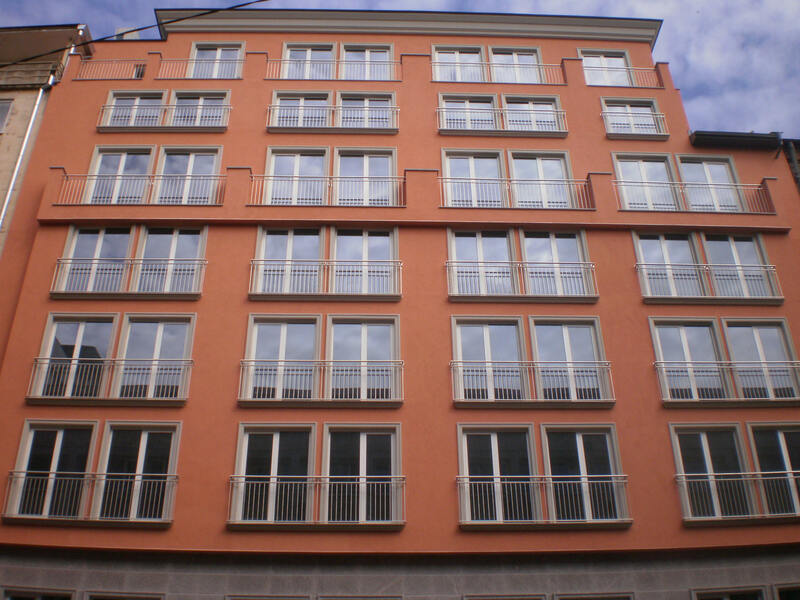 The project company of this building project is Elite Estates OOD, owned and managed by Dr. Wesselin Wodenitscharow. 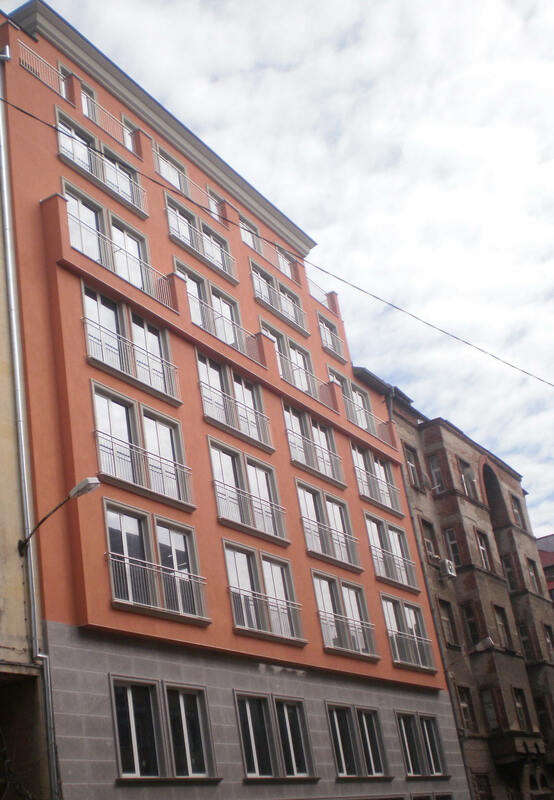 Its only purpose is to build the office house at #5, Slavyanska street, in Sofia. The work on this project is based on the experience of Rapid EOOD. The building has eight floors above the ground level, and three underground floors. - At basement levels -B3 and -B2 there are underground parking lots with an access way from Slavyanska street, using an electrically-driven vehicle loading platform. - At basement level B1, the ground floor and the first floor there are shops with a common access way from Slavyanska street, and a separate staircase and elevator provide access to the underground levels. - The other floors above the ground will accommodate offices. 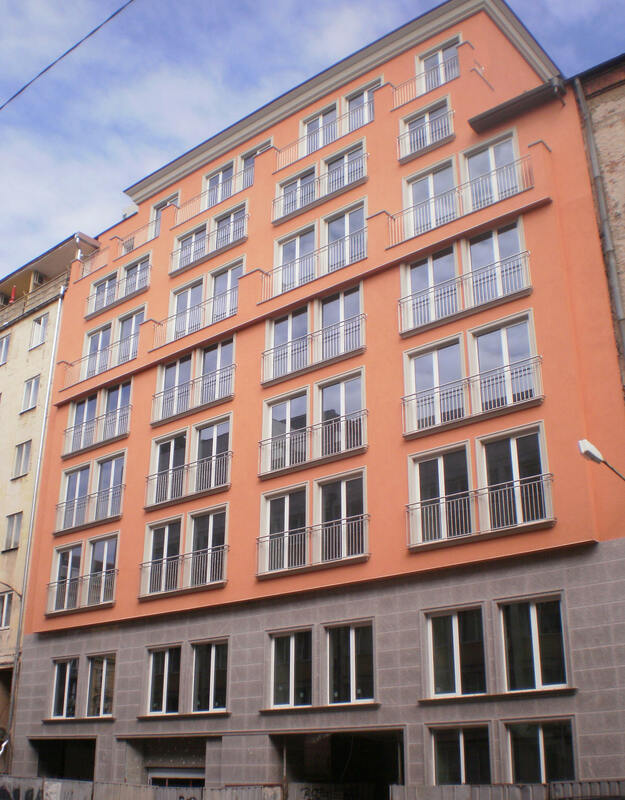 The office building is situated in the heart of old Sofia, close to the classic hotel Slavyanska Beseda, the theatre district of Rakovski street and the yellow-brick boulevard Tsar Osvoboditel. The architectural details of the facade comply with the specific character of this area � designed in the style of the 30s. The building is situated in a busy place which is easily accessible from all directions by car, public transport or walking. Air-conditioning: Daikin central air-conditioning system, Type VRV. Three-pipe configuration for simultaneous cooling and heating of different areas of the building, with used air heat recuperation resulting in 30% reduction in power consumption. Elevators: high-speed (driving system and control units manufactured in West Europe), luxury car, frequency controlled motor drive powered by the emergency supply system (diesel generator). Local structural cabling systems for the telephone and computer networks in each office, shop, etc. Security � 24-hour, guards and surveillance of the entire building, integral access control system. The alarm and security system will cover the entire building. In addition, there will be an audio system in certain areas (e.g. the entrance lobby, shops, underground garages and elevators). The fire alarm system is of the addressable type, intended for fire detection and identification of the place of occurrence, based on the address of the activated sensor. Centralized access control system, connected with the security center (security at elevation �0,00), one I/O sensor at each level and at the main entrance. Building management system for automation and control of all building installations.